Swoop makes getting around South Beach free and easy. Swoop Miami is an easy way to get around South Beach (SoBe), a neighborhood just east of Miami Beach. Since 2009, this free service has picked up people in a six-passenger electric golf cart and taken them wherever they needed to go in South Beach. A car isn't necessary for this area, plus traffic can get bad and parking can be a hassle. As a transportation alternative, Swoop provides a stress-free ride with fun music and a party-like vibe. If you're looking for recommendations for restaurants, nightclubs and things to do, just ask the knowledgeable drivers. 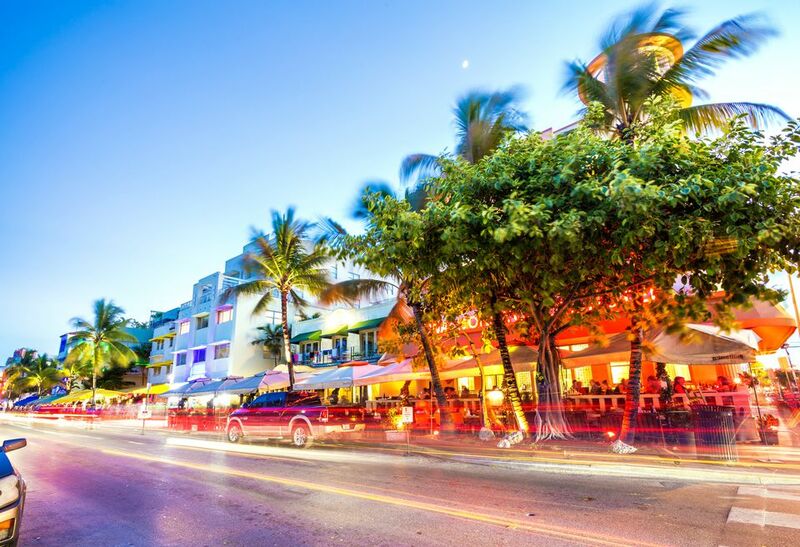 South Beach features historic and colorful Art Deco architecture, galleries, boutiques, and museums. This urban neighborhood is situated between Biscayne Bay on the west and the Atlantic Ocean on the east. Swoop covers the area from 1st Street (south end) to 23rd Street (north end), which runs east-west, and Bay Road (north to south along the western shore) to Ocean Drive (north to south along the eastern shore). You may recognize the skyline along Ocean Drive from TV and film. Just call or send a text message with your location, and a golf cart will arrive within 15 minutes. During busy times, you may want to call ahead fairly early to ensure a spot. Note that you may have to share a ride with others. Bring some cash, so you can tip the driver. How Can Swoop Be Free? The service makes its money from advertisements on the Swoop golf carts. Swoop Miami operates daily from 10 a.m to 2 a.m. (sometimes later), but there is no service during floods or hurricanes. For more information, check out Swoop Miami or call 305-900-6367.